Now that we’ve looked at the key necessary components for developing a strategy, it’s time to learn what needs to be done to implement the strategy you’ve developed for your nonprofit. You might be thinking that just by developing a strategy your work is done, however, that’s just a picture of where you are going, but the picture lacks the direction on how to get there. Throughout the series we’ve come to realize that strategic planning for your nonprofit is about setting a direction for the organization, devising goals and objectives and identifying a range of strategies to pursue so that the organization might achieve its goals. We can simply say that, this is a plan that outlines your mission, vision, and high-level goals for the next three to five years. However, having a strategy without implementation is a waste of time. You might be wondering why I’m saying that having a strategy by itself is a waste of time for your nonprofit. Well, that’s because a strategic plan does not stipulate the day-to-day tasks and activities involved in running the organization. Strategic planning is only the general guide for the management of the organization according to the priorities and goals it sets to achieve. So what do we need to implement that strategy we’ve developed? Well, we need what is known as ‘Operational plan’. Operational plan which is also known as a work plan is an outline of what your department will focus on for the near future—usually the upcoming year. Operational planning helps us chop down the big pieces of our strategy into small ones that are achievable. While Strategic plans don’t show the day to day activities, the Operational Plan does present a highly detailed information specifically to direct people to perform the day-to-day tasks required in the running the organization. The detailed activities shown by the operational plan empowers your team to execute the strategy you’ve developed. Nonprofit management and staff should frequently refer to the operational plan in carrying out their everyday work. The Operational Plan provides the what, who, when and how much, whereas these details are not frequently shown in the Strategic plan. Your strategy might be of 4 years period for example from 2018 - 2021, however your operational plan might be of one year period, for example a plan to get you from 2018-2019. The purpose of the Operational Plan is to provide your nonprofit personnel with a clear picture of their tasks and responsibilities in line with the goals and objectives contained within the Strategic Plan. 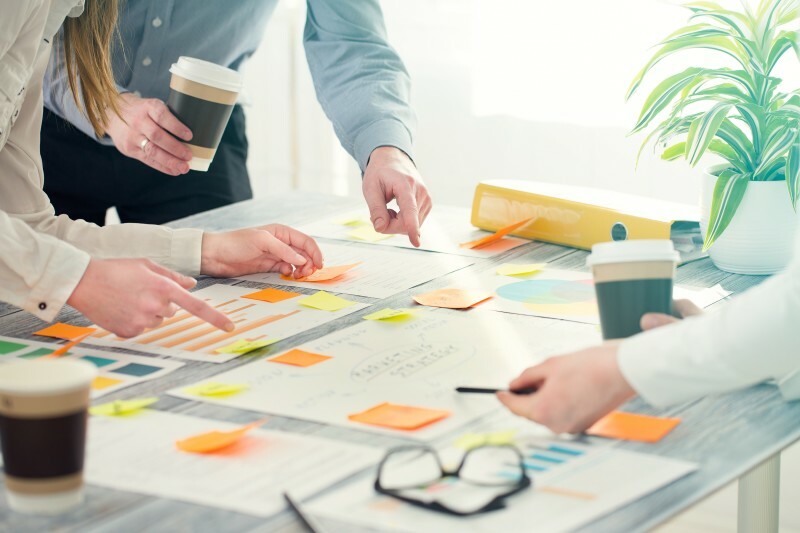 When developing an operational plan for your nonprofit strategy, it’s important to note that your developed operational plan should not be formulated without reference to a strategic plan. Always remember to reflect the Strategy you’ve developed. Leaving the strategy behind will lead you astray from what your nonprofit is aiming at achieving. Always remember that the Operational Plan provides the what, who, when and how much finance and resources is needed to get the strategy executed. When drawing the operational plan our main task is to take every single strategy contained within the Strategic Plan and allocate resources, set a timeline and stipulate performance indicators. So what’s next after you’ve developed the operational plan? Make sure that all your team members are aware of the existence of the operational plan, what its purpose is and why it is important to them. The Operational Plan is only as good as the diligence of your team in putting it into action. The best way to do that is by ensuring that the operational plan has been explained and communicated to your team members effectively through a series of meetings with your team where you and other seniors get to explain and answer some of the questions that might rise regarding the operation plan. To ensure sufficient understanding, smooth flow and effective execution of the operational plan, you must thoroughly communicate the operational plan to team; otherwise the whole Strategy will be a ways of time. Ensure that there are time to time meeting to communicate the operational plan and answer questions that might rise. Break down the overall operational plan into subsets and communicate of each subset to the work team. Develop systems that enable progress of tasks to be measured and reported within a work team, and to at management level. Provide training to your team so that they may better understand their tasks and responsibilities, especially how they can contribute to the overall achievement of the operational plan. To have a clear and actionable plan, it takes a lot of churning of ideas and experiences, I encourage you in collaboration with your team to take the time to develop an operational plan for your Strategy. This will not only empower you to succeed, but it will also help you to better meet the needs of those whom you are making a change for. I hope this blog post has shaded a light on you planning journey. You can learn more and review more on this topic by visiting the NONPROFIT STRATEGY CATEGORY.